Insane sports for an extreme generation! Insane, rush, charge, gnarly, pure juice, rage, energy, stoked, radical, and epic…just a few words that describe Extreme Games. Get ready to PUNCH and KICK your way through an entire season of Extreme competition. Battle radical opponents on the most treacherous terrain found on the face of the earth. This is ESPN’s Extreme Games. No Kooks allowed! Charge six different banzai courses covering San Francisco, Lake Tahoe, South America, Italy, Utah and The Money Level. 4 levels of difficulty from beginner to EXTREME. 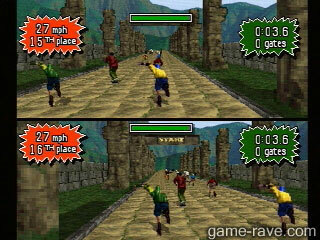 2 player split screen racing action. 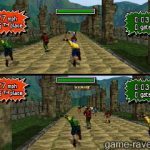 ESPN Extreme Games, 1xtreme is a racing title in which you must fend off skateboarders, street lugers, bicyclists, and in-line skaters with your fists and your speed. Here’s the neat part; you’re all going at it at once. 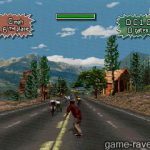 Yup, you blow past that skater on your ten speed as you fly through the streets of San Francisco to the forests of South America. 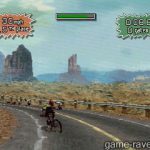 A fun game, if not really just a poor man’s Road Rash. Still one of the only sports games I actually played on a regular basis at the time of its original release. That and NBA Jam: Tournament Edition. The sequels dropped in quality with each release. A fun romp that decently aged, but not much left on it. 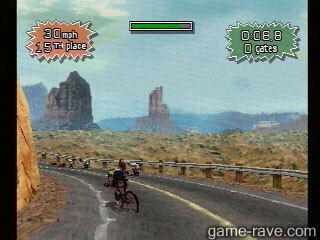 ESPN was the only game in the series to allow you to race any mode of transportation against everyone else. In the sequels, they kept the type of ride to their own races. Launch day game! 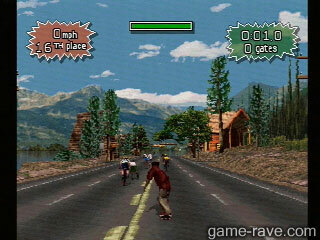 First ever skateboarding / rollerblade / biking game. Renamed to 1xtreme to coincide with 2xtreme, or likely Sony didn’t feel like keeping up with the ESPN license. 1xtreme, ESPN / ESPN 2 Extreme Games.